I write historical fiction, so I am fortunate to be only a 20 minute train journey from London, which offers so many possibilities for research about times past. So many things spark my imagination. During the last two years I took an open tour bus ride around London. Amongst the sky scrapers and modern buildings Old London can be discovered, including the street which J.K.Rowling used as a model for Diagon Alley in her Harry Potter series. For as long as I can remember, I enjoyed studying history, reading historical non-fiction, historical fiction and its sub-genres. I enjoy novels in which the characters’ behaviour is appropriate for the era in which they lived. The more I read the more fascinated I become, and the more aware of the gulf between historical periods and my own. Our ancestors shared the same emotions as we do, but their attitudes and way of life were different to ours. One of the most striking examples is the position of women and children in society in bygone ages. I don’t think it is possible for a novelist to be 100% accurate about life in former ages. However, the characters in my novels are of their time, not ones dressed in costume who behave like 21st century women. Of course, it is almost impossible to completely understand our ancestors, but through extensive research I ensure my characters observe the social etiquette of their lives and times. My previously published novels, set in the early 18th century and in the ever popular Regency era, and my previously unpublished historical fiction will be published by Books We Love as e-book editions and paper books. 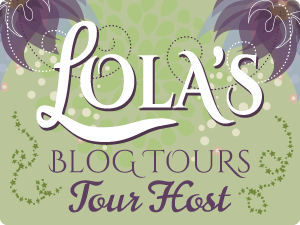 Rosemary will be awarding a $20 Amazon or B/N GC to a randomly drawn winner via rafflecopter during the tour.